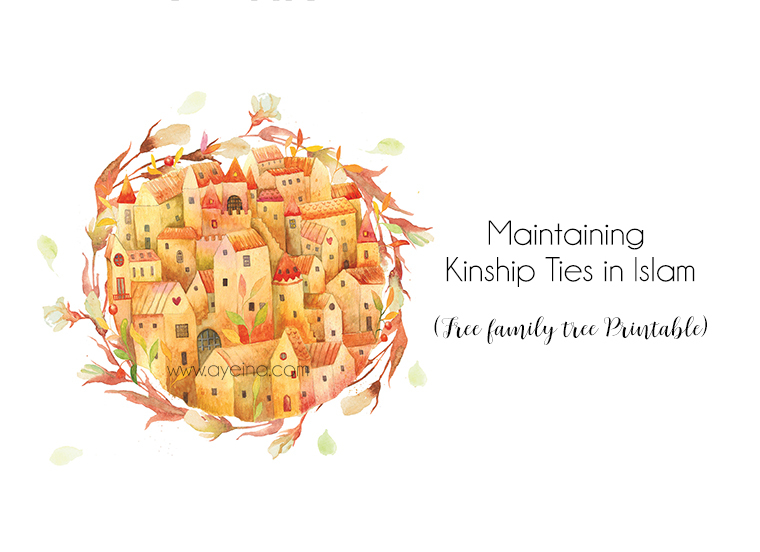 With a lot of powerful verses revealed on the subject and so many Ahadith narrated about the value of maintaining ties with kinship, we can say that maintaining good terms with our family members/relatives is one of the main responsibilities of a Muslim. Family in Islam has the high privilege second to none other than the rights of Allah. The word ‘sila’ or ‘wasala’ in ‘Sila-tur-Rahim’ is derived from the triliteral root wāw sīn lām (و س ل) – which occurs twice in the Qur’an as the noun wasīlat (وَسِيلَة). It has different meanings like: to seek the favor, seek the means of nearness/approach/access, honorable, rank, degree, affinity, tie, nearness, come closer. 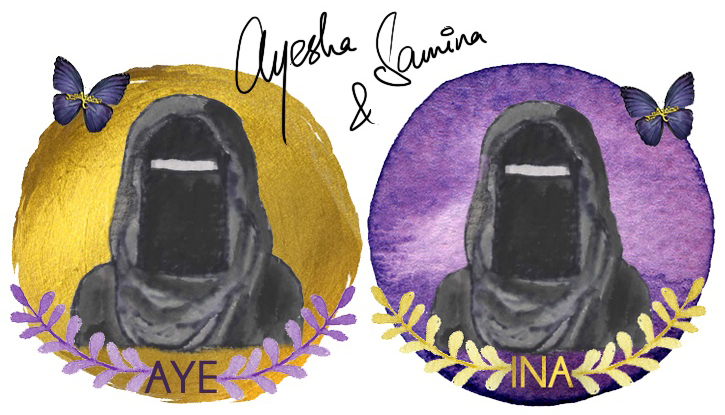 The concept of ‘Rahima’, mercy, also comes from the sameroot i.e. Rahim (womb of the mother). This is not a coincidence that the beautiful name of Allah, ‘Ar-Rahman’ is connected with the word ‘Rahim’. 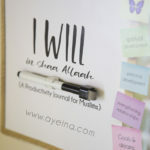 In this manner, it means to remain connected to our relatives in the manner that is acceptable and rewarding in the eyes of Allah. It means that we show them kindness, compassion and love, to help them both morally and financially – the much we are able to, or being connected in general. 2. When Muslims migrated to Abysinia and The Negus called Jafer ibn-e-Abi talib to ask what has your Prophet ﷺ told you? Jafer bin Abi talib also replied that, ‘He has told us to worship one Allah and to avoid false gods, to speak truth and to take care of our family members. 3. Third incident happened when the message of Islam was sent to the emperor of Rome and by coincidence Abu Sufian, who was not a Muslim yet, was visiting the Rome. The emperor called him and asked him about this new religion. Even he knew clearly at that time what the message of Islam was i.e. to worship one Allah and to be good to your relatives. Which relatives to maintain ties with? Now the question arises – how far should we go in this ranking system? Generally speaking, our connection with our closest family members is always the strongest one in terms of maintaining the contact, then comes the branches that are further spread out of that tree. The closer the relationship, the more emphasis is upon us to connect with them…e.g. Parents, spouse/children, followed by siblings, followed by paternal/maternal uncles/aunts, followed by their children etc. The Egyptians didn’t even look like the Qureshis, nor they acted, behaved or spoke like them but our Prophet ﷺ told them that you are connected to them and that too thousands of years ago through the mother of Prophet Ismail (A.S.), Hajar, who was an Egyptian. Pedigree Chart – also known as a family tree, lineage, or ancestry chart – shows family relationships in the form of a tree structure. Discuss and update it with the elders in the family. Have respect for all elderly people in your family, be all ears when they are telling their stories and try to learn from their past experiences. Once you’re done with your family tree, you can see from where you can start in terms of upholding ties. Keeping track of genealogy is encouraged in Islam. Abu Bakr Siddiq (R.A.) was respected in the days of ignorance because of his knowledge of genealogy of Arabs and it was considered a noble science back then. 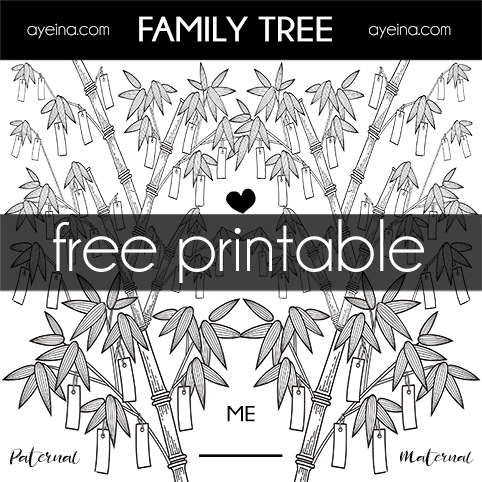 You can write names of your paternal relatives on left side while writing maternal relatives’ names on the right side (the free printable of this color-in family tree is black and white so you can color code the generation stages on your own for personal clarity in shaa Allah). Some people only visit in return of the visit or give gifts only in return of the gifts. Try to begin with the positive gestures when it is time to connect with our family members and be the better of them all by fulfilling the Sunnah of giving gifts first. Relationship with kinfolks should not be just returning favors. Islam urges us to reach the higher degree. P.S. Handmade gifts can be an amazing way to strengthen bonds if you are clueless on how and what to gift the relatives or family members. Be there for them – especially in the time of need. If there is somebody who is deserving, help them financially as well. Every human being is put into trial with the family members who test our patience every now and then. The strength of our faith will be tested through our families. Our ego can make things hard for us. Remember that we are not allowed to boycott any Muslim brother/sister for more than three days. How to deal with toxic relatives? Generally speaking, no relationship is perfect. Having problems with family members does not necessarily mean they are toxic. Relationship problems are completely normal and can often be solved by cooperation and communication based around kindness and respect. But you may have particular family members or close relatives who cause fights, arguments and trouble everywhere they go. They may insult or disrespect you and your loved ones at every opportunity they can get. Some may respect you but may constantly make negative remarks about Islam or keep undermining your beliefs. And you may run away from the thought of being around them because you can’t keep your cool either. In that moment, it’s important to remember this hadith! So remember this whenever you are hurt by close members of the family or relatives. An angel is there to support you! Allah’s help is there! Your dominance is through your kindness – Not by winning them in arguments or insult! BUT if toxic family members are harming your mental, emotional and spiritual health constantly, you can maintain distance and limit contact. If you think that being constantly in touch with them is going to push both of you at the edge of cutting ties altogether, it’s best to visit/call once in a while only. This is the book that I mentioned on @ayeina_official ‘s latest post about maintaining family ties and how to deal with difficult relatives. 🙂 . Here is a very short review of what it is all about: . ‘We all deal with difficult people. They do things you don’t want them to do or don’t do what you want them to do… worst is when they open their mouths. 😉 While you can’t change difficult people, you can communicate with them in such a way that they change their behavior. It’s a matter of knowing how to get through to them when they’re behaving badly.’ . Communication. That’s the key to tackling anybody. When the person in front of you is blowing up or speaking behind your back… how do you ‘tell’ them to stop it? . This book teaches you what the different types of people are and what makes them tick. Understand them and how they work and you can very well have them eating out of your hand. 😉 . Does it really deliver all that..? Yeah. I discovered this book 8 years ago and must have read it like… 4 times 🤔 from cover to cover … but then they revised it and brought out a whole chapter on phone and email conversations with difficult people. I had to get it! 😂 ( don’t judge me!) . It is available on Amazon 🙂 . Tell me, have you read this book? I’d love to hear your thoughts. 2) visit on special occasions with gifts if visiting/calling often isn’t a possibility. 3) call on special occasions and send gifts – if visiting each other ends up in toxic behavior. 4) send message and gifts on special occasions – if calls end up in toxic conversations as well. The most important thing is to not sever ties with them completely! And gifts make the hearts grow closer hence it’s best to include them in every now and then! Hating family members for being toxic only brings more toxicity into your own life. Upholding of ties of kinship, as al-Qaadi ‘Iyaad said, is of varying degrees, some of which are higher than others. At the very least, it is not forsaking one another, and upholding ties by speaking, even if it only saying salaam. That varies according to possibility and need. It may be obligatory or mustahabb. If a person upholds ties to some extent, even if it is not to the fullest extent, he cannot be called a breaker of ties of kinship, and if he fails to do what he is able to do and should do, then he cannot be called an upholder of ties of kinship. In conclusion, don’t lose hope! It can be downright hurtful! But guidance is only within Allah’s Power, not our own. Make sincere du’a for them, be good to them and keep trying. Perseverance is key. Love has a power to change hearts with the will of Allah! and as the hadith below strongly narrates, make up your mind on who YOU are! You don’t have to stoop to their level – there will remain no difference between who you are as a person and who they are! You both become a part of toxic personality otherwise! If you were ever faced with a toxic relative, how did you face the situation? 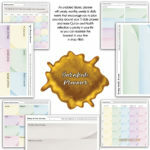 What helped you get them or yourself out of the toxic environment – without becoming them!? Comment below and help anyone out there in such situation in shaa Allah! Co-author’s Bio: Saima Asghar is a proud SAHWM (Stay-at-home working mom), a Human Resource expert and a student of Al-Huda International. 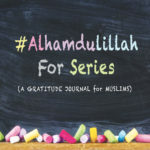 She is a writer at https://saimawrites.wordpress.com/ – Thoughtful parenting and homemaking are her passions while meaningful writing and reading are her food for soul. She believes that life affords no greater responsibility and no greater privilege than the raising of the next generation. It was a pleasure reading through this articles that mentions so many aspects of maintaining ties of kinship, especially the last part. The possibility of near kin being toxic is somehow considered a taboo, but Subhan Allah an unfortunate reality. Jazak Allah khair sister for discussing this. I completely agree with the methods mentioned to deal with toxic relatives. I wish I had ideas to offer but I hope more people will comment because I don’t know how to maintain sanity while upholding these relations. Reading the Hadith of Abu Huraira brought so much relief. And I never thought I was entitled to reduce contact and set boundaries. In very close blood relations (especially those living in one home), limiting contact may not be possible though so in shaa Allah kind and wise communication along with patience helps. And most of the times, silence helps not aggravate things further. But in bitter relationships that are farther, one may try to maintain a certain distance just to not push things over the edge and cut ties completely. May Allah help us build strong blood ties! True that. Jazakillah khair for your input. The generations in the past not only grew up in difficulties, but were also focused on their ultimate goal. They were far sighted and cared for their aakhirah much more than their dunya. Which is why we find amazing examples like that of Yusuf (as), Ibrahim (as), Muhammad (saws) and Mus’ab bin Umair etc. (In later generations) who didn’t let toxic relationships with their blood affect their focus on Islam.